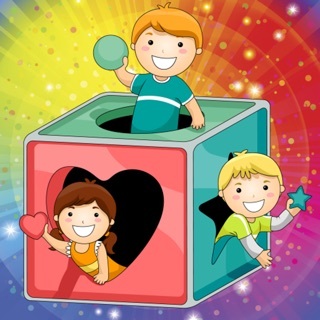 Educational games/puzzle activities for toddlers and preschool children.To teach your toddlers color & shapes using vegetable/fruit and other real life household objects. The interactive learning is a great mode of education as toddlers enter kindergarten as kinesthetic learners (age 2-6 yrs). The interactive methodology helps the child to build motor skills and hand eye coordination as well. 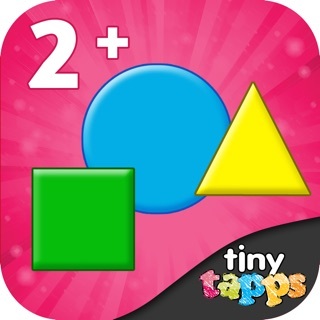 Toddlers Learn Shapes & Colors app is a fusion of fun and education that kids would love to play with, again and again. The activities do not force timed completion, and hence encourage the kid to progress at his/her own pace. Kids are enchanted with the experience of the game as there is no winning/losing. • Tracing the basic shapes not only enhances the hand eye co-ordination but at the same time prepare the child for writing, without even knowing the she is being trained for writing. • Recognition of colors has been presented in the form of fun learning activities like Dragging the monster for space jump, feeding hungry frog, Balloon pop quiz, Odd one out, Honey bee etc. • Many interactive activities to teach about different geometric shapes like Circle,Square,Triangle,Heart,Diamond,Star,Semicircle,Oval,Rectangle,Pentagon,Hexagon etc. • In the activity Robot factory, Kindergarteners learn about shapes and their usage. • Hidden object Games- Scratch and reveal different colorful Geometric shapes. Whether you are parents or preschool teachers, you can use the activities for preschoolers at home or in class. Engage your children in fun activities to keep them from doing mischief because they are bored. Let them explore basic early education concepts of shapes and colors in many interesting ways. The multiple quizzes and activities reinforces the concepts. So download for FREE now and discover all educational games for preschoolers that will keep them happy and active. You can also checkout other applications of Greysprings "Play and Learn" series. 1. Whole new application with more fun and learning. 2. Excellent game play experience with optimized techniques. 4. Much more is there.